Top Oil Change Advice | Nelson Auto Center Inc. 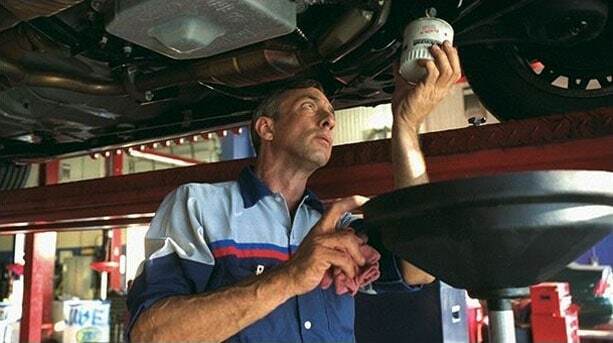 When you visit Nelson Auto Center Inc., we'll make sure your vehicle is checked properly with The Works. Our complete vehicle checkup includes a synthetic blend oil change, tire rotation and pressure check, brake inspection, Multi-Point Inspection, fluid-top off, battery test, filter check plus belts, hoses check, and more. Call Nelson Auto Center Inc., consult your Ford Owner's manual, or go to Nelson Auto Center Inc. service scheduler. Want to know when it's time for an oil change? Take a look at the Intelligent Oil-Life Monitor, found in your vehicle's instrument cluster message center.